Medtech Europe (https://www.ethicalmedtech.eu/) is the trade association representing thousands of leading medical technology and diagnostic companies in Europe. The Medtech Europe Code of Ethical Business Practice regulates all aspects of member companies’ relationships with physicians and medical societies, throughout Europe and the Middle East and with particular emphasis on congresses, conferences and other educational events. In addition to already demanding restrictions on venues, hospitality and event formats, as of January 2018 members will no longer be allowed to provide direct sponsorship of congress attendance (registration, travel and accommodation arrangements). Instead, companies may provide indirect support in the form of Educational Grants. Subject to strict guidelines industry will grant funds to medical societies or their agents (e.g. PCOs) who will in turn allocate funds to potential congress attendees. Promotional activities such as exhibits, satellite symposia and advertising will continue but with ever greater scrutiny and stringent requirement for formal Medtech pre-assessment. Gateway to the regulators – compliance is in constant evolution. When new issues arise K.I.T. 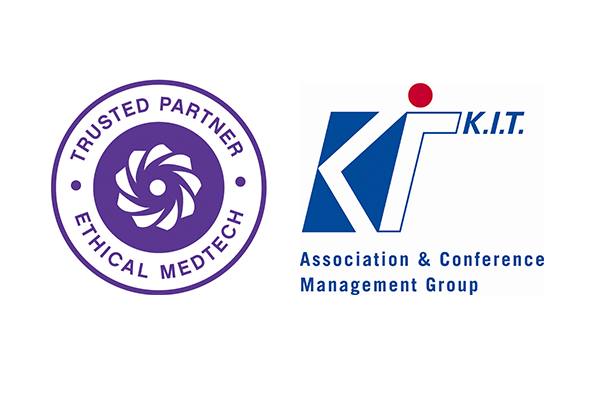 Group GmbH has direct working relationship with Medtech – we can help minimise ambiguity and risk for all stakeholders throughout the event cycle Whether you are a medical society, a healthcare company, a conference venue or a hotel – contact us now to learn more about how K.I.T. Group GmbH can simplify your business by enhancing ROI and minimising exposure.